A classic metal ride on speedster for kids. 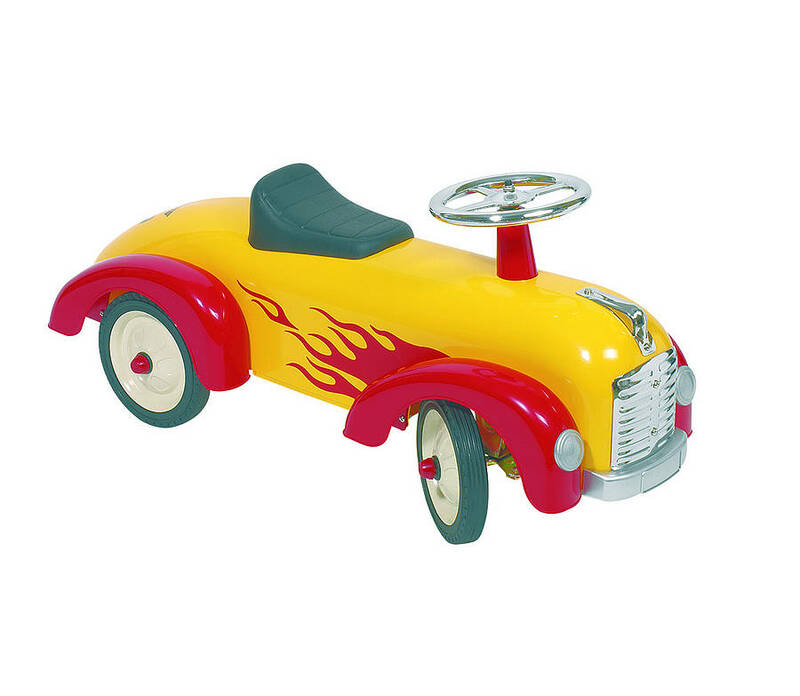 This foot to floor toddler ride on is finished in hot rod style red and yellow. This great new retro classic metal racer is pure energy! Features a strong steel body makes this ride-on toy blow away its plastic counterparts.